In the present work we have taken one-dimensional unsteady flow of non-ideal gas with magnetic effect under the presence of thermal radiation. The system is hyperbolic in nature and solved by similarity method using Lie Group of Transformations under the assumption that the system is constantly conformally invariant under the transformations. The similarity solutions are investigated behind a cylindrical shock which is a consequence of a sudden explosion or produced by an expanding piston. The shock is assumed to be strong and propagating into the medium which is at rest, with uniform density. The total energy of the shock is assumed to be time dependent and obeying the power law. 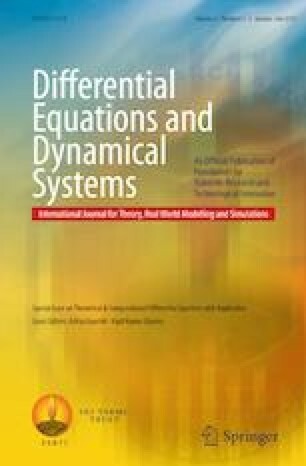 By means of similarity method our system of PDEs transformed into the system of ordinary differential equations (ODEs), which in general are nonlinear. The effects of thermal radiation on the the flow variables velocity, density, pressure and magnetic field are investigated behind the shock.